4G network is gradually taking over the Nigeria telecom networks as more companies are coming in and many others are planning. Today am going to introduce the newest member of the 4g LTE network providers in Nigeria which is known as the Intercellular Nigeria Limited. Interc as it is fondly called was launched on the 23rd of August 2016 which was few days ago. Interc are actually offering a very fast internet at a very affordable rate. Their data plans ranges from as slow as N1,400 to as high as N12,000. They also have some cool promotional offers where you can get free internet for the first month, and 25% off on the second month. While this plans might be a lot more cheaper that the recently launched Ntel network, you might also want to have it the back of your mind that their plans are not unlimited as they are all capped. So while their plans might be okay for those looking for cheap 4g data plans, you might want to stick with Intel if you prefer unlimited data plan. According to their location coverage map, their network coverage is only available in Abuja, Port Harcourt and Kaduna at the moment. But they have plans to expand their coverage to Lagos and other locations later. Below is the full list of their available data plans and their prices. The InterC Lite is targeted mainly at the light internet users who want high quality internet at a very affordable rate. This plan is suitable for smartphone users who needs internet on the go. And the data plan ranges from 1.5gb to 4gb. =» 1.5GB Plan for N1,400. Validity: 24/7 for 30 Days. =» 4GB for N2,800. Validity: 24/7 for 30 Days. =» 2.5GB for N1,500. Validity: 6PM – 6AM everyday for 7Days. =» 1GB for N1,000. Validity: 6PM – 6AM everyday for 7Days. 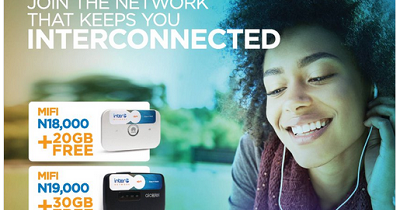 The InterC Savvy is mainly for medium internet users who needs high quality internet for those slightly heavy duty stuffs such as video streaming, Skype video calls, movies, light downloads etc. It's data plans are capped within the range of 7gb to 25gb. =» 7GB for N4,500 Validity: 24/7 for 30 Days. =» 15GB for N7,000 Validity: 24/7 for 30 Days. =» 25GB for N10,000 Validity: 24/7 for 30 Days. =» 40GB for N9,000 Validity: 6PM – 6AM everyday for 30 Days. =» 25GB for N6,000 Validity: 6PM – 6AM everyday for 30 Days. =» 50GB for N17,000. Validity: 24/7 for 30 Days. =» 75GB for N24,000. Validity: 24/7 for 30 Days. =» 110GB for N35,000. Validity: 24/7 for 30 Days. =» 75GB for N12,000. 6PM – 6AM everyday for 30 Days. 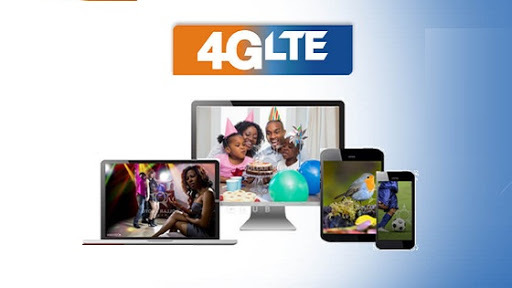 With the growing list of 4G LTE Network in Nigeria with names like Smile, Spectranet, Ntel, Swift, InterC and also MTN planning to join very soon, if you are still stock on 3g network then you might want to upgrade soon to catch up with time.